These proposals are favored by a small number of trade secret owners and ignored by virtually everyone else, even though a new federal trade secret law would be a dramatic change in US intellectual property law and have potentially radical implications for the Silicon Valley. Unless a coordinated opposition emerges, these proposals are destined to pass eventually. Fortunately, last year, Profs. David Levine (Elon) and Sharon Sandeen (Hamline) sent a letter to Congress on behalf of many law professors opposing the latest proposal. That letter–perhaps the first real opposition that Congress heard–successfully slowed the trade secret bill down a bit, just long enough to keep it from passing that session. The current Congressional session is preoccupied with patent reform and maybe copyright reform, so we haven’t heard much about a resurrected trade secret bill. Nevertheless, the bills will be coming back, and they will remain inevitable unless they face opposition. Thus, I asked David Levine if he could prepare a bibliography of the literature opposing a federal trade secret law. My main goal was to get all of the opposition material into a single document, so that we could realize just how many smart people are opposed–and perhaps coordinate our efforts better. Many thanks to David for doing this. Last year, Congress considered two bills designed to create a new private federal cause of action under the Electronic Espionage Act (EEA). The two bills, the “Defend Trade Secrets Act of 2014″ (“DTSA“) and the “Trade Secrets Protection Act of 2014″ (“TSPA“) were designed to give trade secret plaintiffs another avenue of attack against putative trade secret misappropriators, ostensibly to address the real problem of cyber-espionage and cyber-misappropriation. Alas, the bills died but are expected to be reintroduced, perhaps in modified form, later this year. Especially compared to more high-profile federal intellectual property law reform efforts, like those focusing on addressing the issues surrounding non-practicing entities, also known as patent trolls, trade secret reform efforts have received little attention. To the extent that there has been coverage, most of it – produced primarily by the bar and advocacy groups (gathered and cited here) – has been generally uncritical and/or supportive. Indeed, some of the coverage has been uncritical and supportive to the extreme. To provide a different perspective, Sharon Sandeen and I have worked together over the past several months to raise concerns about the bills’ efficacy and effects (intended and unintended). We have become active opponents of these efforts because we believe that the bills will not address any perceived or real trade secret misappropriation harm, but rather will create new problems (like “trade secret trolls”) or exacerbate existing ones (like creating more confusion, not less, about the parameters of trade secret law generally). In the interest of full and thorough consideration of these bills should they be reintroduced in existing or modified form, the below provides other recent sources that address questions about and/or oppose the need and/or desire for these bills. Brian T. Yeh, Protection of Trade Secrets: Overview of Current Law and Legislation, Congressional Research Service (September 5, 2014). Christopher Seaman, The Case Against Federalizing Trade Secrecy, 101 Va. L. Rev. __ (2015). David S. Levine and Sharon K. Sandeen, Here Come the Trade Secret Trolls, 71 Wash. & Lee L. Rev. Online 230 (2015). Eric Goldman, Do We Need a New Federal Trade Secret Law?, Santa Clara University School of Law (Sept. 19, 2014). Zoe Argento, Killing the Golden Goose: The Dangers of Strengthening Domestic Trade Secret Rights in Response to Cyber-Misappropriation, 16 Yale J.L. & Tech. 172 (2014). Professors’ Letter in Opposition to the “Defend Trade Secrets Act of 2014” (S. 2267) and the “Trade Secrets Protection Act of 2014” (H.R. 5233), (August 26, 2014). Bill Donahue, 6 Big Problems with Federalizing Trade Secret Law, Law360 (Sept. 12, 2014). Christopher Seaman, Guest Post: The Case Against Federalizing Trade Secrecy, Patently-O (September 2, 2014). David Almeling, Guest Post: Defend Trade Secrets Act – A Primer, an Endorsement, and a Criticism, Patently-O (May 30, 2014). David C. Clark, Law Professors Object to New Trade Secrets Acts Proposed in Congress, Trade Secrets and Noncompete Blog (Sept. 10, 2014). David S. Levine, The Dangers of the New Trade Secrets Acts, Freedom to Tinker (Aug. 27, 2014). David Pruitt, Will Congress Enact Federal Trade Secrets Act in 2015?, The National Law Review (Dec. 12, 2014). Dennis Crouch, Ready to Nationalize Trade Secret Law?, Patently-O (Aug. 27. 2014). Edward Pappas, et al., The Defend Trade Secrets Act – Trade Secret Protection Act – Finally, Federal Protection for Trade Secrets?, Bloomberg BNA (Nov. 3, 2014). Eric Goldman, Congress is Considering a New Federal Trade Secret Law. Why?, Forbes Tertium Quid (Sept. 16, 2014). Michael Risch, Do We Need a Federal Trade Secret Statute?, Written Description (Jan. 22, 2015). Steve Borgman and Janie Ta, Weighing The Proposed Federal Trade Secrets Law, Law360 (June 16, 2014). Sydney Ross, Trade Secret Owner’s Dream: A Nightmare to Others?, American University Intellectual Property Brief (Dec. 29, 2014). Thanks to Eric and David for their posts above and for their continued attention to this issue. Just to be clear, neither myself, Eric, or David are in favor of trade secret misappropriation. Legitimate trade secrets (those that meet the legal definition of a trade secret, which is narrower than the popular definition) deserve protection from misappropriation, and they have that under current law. The problem from my perspective is the proposed federal law will upset the balance that current state law seeks to achieve between the interests of putative trade secret owners and legitimate competitors. I know from experience that there is often a disconnect between what companies think constitute “their” trade secrets and what actually qualifies for trade secret protection and I think the proposed federal law is apt to increase that disconnect. 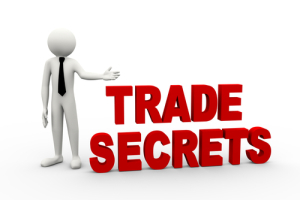 The misunderstanding about the appropriate scope and nature of trade secrets leads to lawsuits being filed based upon weak or illegitimate claims, often against new and small businesses that do not have the resources to fight. It is the voices and experiences of these companies that are not being heard by Congress, most likely because they do not have high-priced lobbyists or perhaps because they were forced out of business. But it is not just small companies that need to be concerned about a change in trade secret law; large companies (even large trade secret owners) can be subjected to weak claims of misappropriation by others, highlighting the across-the-board need for balance in trade secret policy. Strong IP rights are great when you own them but not so great when they are being asserted against you. So before arguing for stronger trade secret rights and more enforcement, it is best for companies to consider what side of the equation they will be on; the answer is probably “both.” Federal courts may do as good a job of protecting the interests of defendants in such cases, but without an existing body of federal common law on the subject, I have my doubts. Plus, I am not convinced there is a problem that needs to be fixed that is not being addressed under the current scheme of state laws. Procedural convenience and a preference for federal courts strikes me as very weak justifications for changing 150+ years of trade secret law, policy, and procedure.